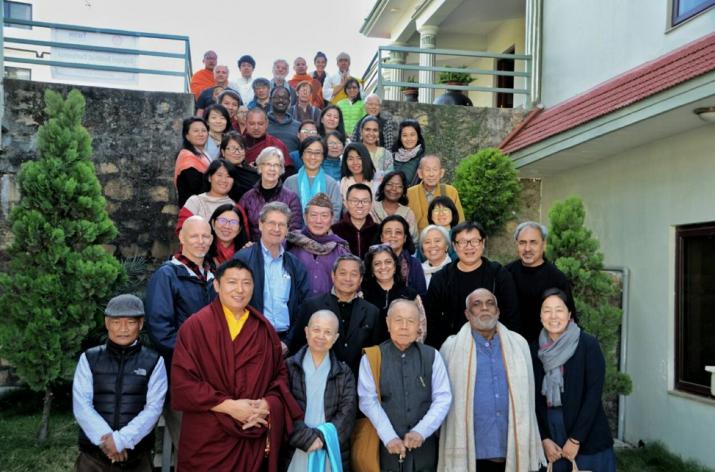 The International Network of Engaged Buddhists (INEB) held its annual joint Advisory and Executive (AC/EC) Committee meeting in met in Nepal, last November. The meeting was held in Boudha, Kathmandu, near the world celebrated Boudhanath Stupa. Glimpses of the Himalayan mountain ranges could be seen high above the rooflines as the Advisory and Executive committee members met to discuss the Nepali context and the activities that comprise INEB’s 10 year strategic roadmap. The meeting was coordinated with local partners, including Phakchok Rinpoche and the Chokgyur Lingpa Foundation, the Nepal Buddhist Federation, the Rastriya Dalit Network, and many other groups. 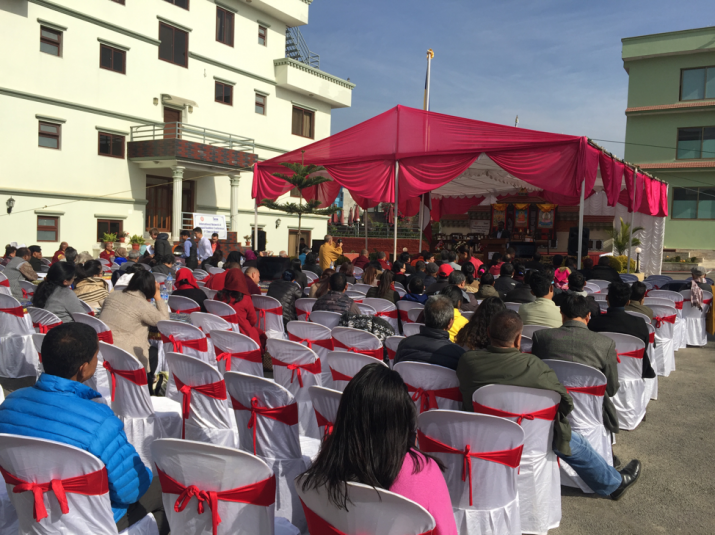 The activities in Nepal began with a public forum on 28 November, which was followed by the AC/EC meeting, and a work planning session coordinated by INEB with Nepali Buddhist minorities and Dalit groups, on 1 December. The public forum explored the context and the social issues of the host country: Nepal. The presentations, given by representatives of Nepali Buddhist and Dalit groups, discussed the various issues the Buddhist minority and Dalit communities in Nepal face. During the first presentation, Phakchok Rinpoche, stated that Nepal needs to be known for more than being the birthplace of Gautama, the Buddha, in Lumbini more than 1,600 years ago. He stressed that the preservation of the Buddhist communities, the preservation of the Buddha Dharma, and conducting Buddhist activities were the most important objectives in Nepal. The disparities and challenges that the Buddhist minorities and the Dalit communities experience shared repeated themes. In the predominantly Hindu country (81.3%), Buddhism (9%) represents the second largest religious group, with all remaining religious groups collectively representing less than 10% including Islam (4.4%), Christians (1.4%), and animists (3.4%). Predictably, these religious groups mirror the social caste system with the majority Brahmans (80%) being Hindu and other religious having a lower status. This social system can give rise to discrimination against minority religions and social group, which, in Nepal, was expressed by their limited access to education, lack of employment opportunities, and laws, public policy, and legal system based on the dominant social class, all of which is reinforced by an unyielding status quo. Interestingly, it was noted that, within this religious and social context, Buddhist may be experiencing more tolerance than some of the other minority groups. During the AC/EC meeting , which followed the public forum, members gave regional updates about activities throughout East, Southeast and South Asia, the USA, Europe, and Africa. Much of the agenda focused specifically on the progress of activities in INEB’s 10-year strategic roadmap, The Way Forward*. 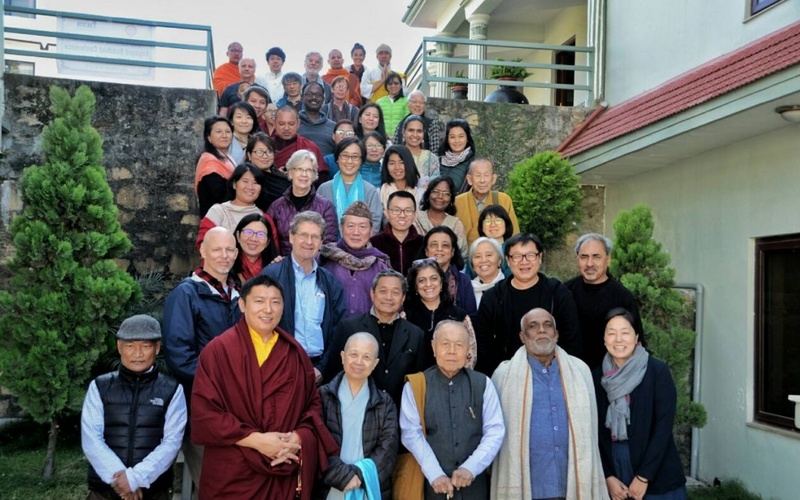 INEB members discussed how to expand beyond their commitment to grassroots activism by engaging with India and China at a cultural level and build a Dharmic civilization of mutual respect, social justice, and peace. Members also discussed holding a few key major INEB events in 2019 that support dialogue and strengthen relationships in these countries leading up to INEB’s next general conference in Deer Park, Bir, India. During the work planning session between Nepali Buddhist minorities and Dalit groups on 1 December, the issues and problems identified by Buddhist minorities in Nepal highlighted the inadequate representation of Buddhists in policy and decision-making levels of state mechanism. It was also noted that Buddhist heritage sites and a couple of institutes are controlled by non-Buddhists appointed politically, mainly by Hindu communities, and that little engagement and interaction takes place between monasteries and lay communities. The Dalit group, in turn, expressed that support from the Buddhist community could help to resolve issues, especially since Dalits who have become Buddhists experience increased discrimination. In terms of economic issues, the traditional occupations of the Dalit community need to be protected, promoted, modernized, industrialized, and marketed. Another critical issue is related to land rights and food rights. The Dalit community wants to link these to the non-violent movement advocated by the Buddha. The second crucial area identified by the Dalit representatives was education. Less than 50% of Dalit communities are literate, and are economically, socially and politically backward due to this lack of education. They have very little access to higher education and less than 1% have an opportunity to go to university. They cited specific ways to address this education gap including needing to have books by Dr. Ambedkar and other Buddhists translated, to incorporate pillars of Buddhism into education which is available to everyone and financial support for higher education. Both groups defined specific solutions to address these conditions which depend on close collaboration and working in unity. * For more information about INEB’s 10-year strategic roadmap and their other activities please see the INEB’s website.